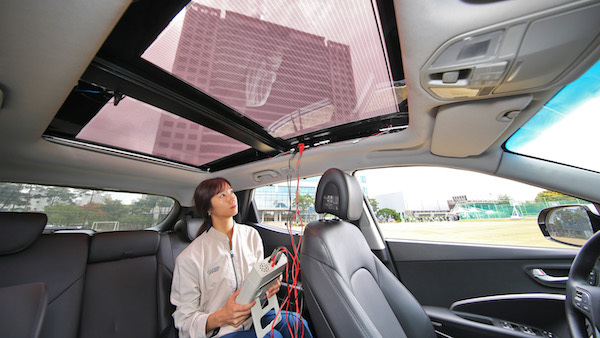 Hyundai Motor Group, comprising South Korean car manufacturing brands Hyundai and Kia, has announced its plans to install solar panel roofs to select vehicles under its company. The technology will not only support eco-friendly cars, such as electric and hybrid vehicles, but also those powered by internal combustion engines (ICE). 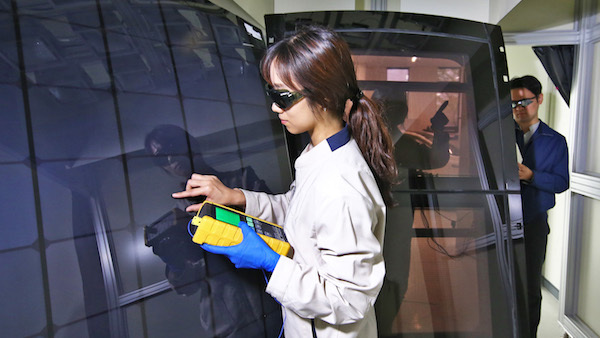 The first-generation system for hybrid models will comprise a structure of mass-produced silicon solar panels, which will be installed on an ordinary roof. The system can charge between 30 and 60 percent of the battery each day, depending on weather conditions and environment. The second-generation semi-transparent system will be the first in the world for ICE vehicles. It will be applied to a panoramic sunroof, thereby maintaining transparency while charging an electric vehicle’s battery or an additional battery installed onto an ICE vehicle. The third-generation lightweight system, which is still in pilot stage, will be used for eco-friendly vehicles. Here, solar panels will be mounted onto the car’s bonnet and roof to maximize energy output. “In the future, various types of electricity generating technologies, including the solar charging system, will be connected to vehicles. This will enable them to develop from a passive device that consumes energy to a solution that actively generates energy,” explained Jeong-Gil Park, Executive VP of Engineering Design Division of Hyundai Motor Group., who’s working on this technology, inside a press release. 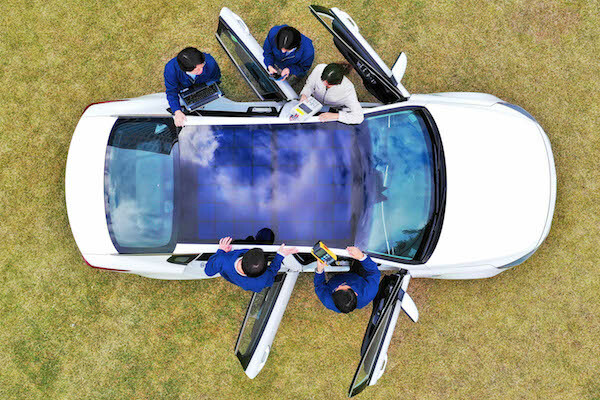 The first-generation silicon solar roof system for hybrid models is slated to roll out across Hyundai Motor Group’s select vehicles after 2019.